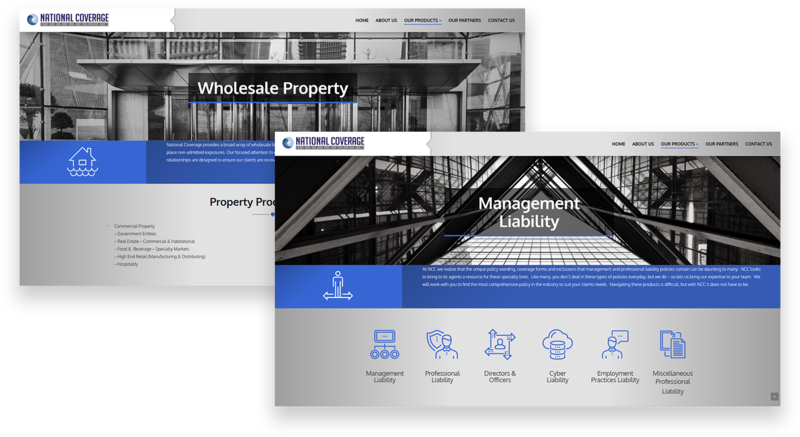 National Coverage Corporation (NCC) is an independent insurance brokerage facility that needed a professional and sleek design. We came up with a clean looking design that displayed their products prominently on the homepage. We strengthened their overall branding by using their logo elements throughout the website.